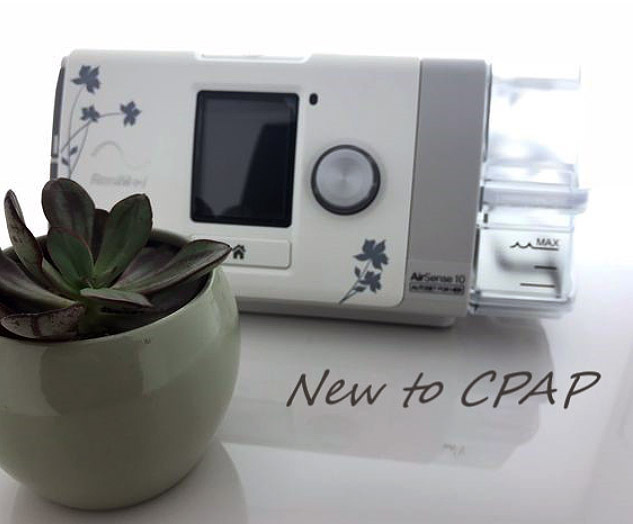 Are you new to CPAP? Chances are you have a lot of questions and it all can seem overwhelming. With all the options out there from CPAP machines to sleep apnea masks and tubing, you may be wondering Where to begin. You may even be asking WHAT IS CPAP. According to Wikipedia, CPAP is Continuous Positive Air Pressure providing just enough air pressure to keep your airways open while you sleep. Once you have decided to seek out help, perhaps your partner is saying you snore too much or you wake up trying to catch your breath, you will want to first see your Medical Doctor. Here are some signs of Sleep Apnea. Since you are new to CPAP, your Dr will require you to have a sleep study. You have two choices when it comes to sleep studies. Most doctors will refer you to a sleep clinic where you will spend the night and the clinic and doctor will determine your PAP needs based on that study. More and more people are opting for In-Home Sleep Studies, however, home Sleep studies, while more comfortable, are only able to diagnose mild to moderate sleep apnea. The in-home sleep study is a less sensitive test that only monitors your breathing while you sleep. If you have severe sleep apnea or obstructive sleep apnea, you will be sent for a clinical lab sleep test. Once your Dr. has provided you with a prescription for PAP therapy, you will want to start doing research into what machine will work for you and fit into your budget. Your best first step would be to call a licensed CPAP dealer as they will guide you to which machine will work based on your prescription. The experts at Respshop are very good at helping first time users and can explain all the benefits and options that will fit into your budget. I don't recommend just making an online purchase without talking to someone first. Keep in mind you will need a prescription to purchase a CPAP from any reputable company. Here is a list of things to consider when making your first CPAP purchase. The cost of your first CPAP machine will depend on your prescription from your doctor and of course your budget plus the features you are looking for. CPAP Machines will come with a tube and typically a 2-year warranty. Masks are sold separately. Travel machines are great for travel and as a back-up machine, but the lower cost options are not recommended for daily home use. Travel machines start at $200 without a humidifier or comfort features and go up from there. If you are using your insurance, make sure you are not being billed for something that would be cheaper if you purchased it yourself. Finally, my advice is do some research as you may find it cheaper from one of the many authorized CPAP on-line companies like Respshop.com and remember you will need a prescription to purchase a CPAP from any reputable company. Respshop.com is committed to the best prices in US and we always do price matching. Your Cpap machine will come with many features so we will cover just a few important ones here. A very important feature of your machine should be the exhalation relief, which makes breathing out against the pressure a more natural feeling then trying to breath against the incoming pressure. While most PAP machines have this feature, not all do. Each manufacturer refers to this feature differently so ask about it when you purchase your machine and request it be turned on. A very important feature is the Humidification so unless you know for sure you can sleep without the humidifier, be sure the machine you purchase has one included. Without the humidifier your sinuses and throat can become dry and inflamed so even having a little humidity can be helpful. You will want to replace the water chamber every 6-12 months so the plastic does not leak water into your machine rendering the warranty obsolete as water damage is not covered. One last thing to consider if you travel is to purchase a Travel CPAP. A good reason to consider this is that they are much lighter and easier to carry, you don't have to worry about damaging your larger home machine and it is always a good idea to have a Back-up CPAP machine. If something should happen to your home machine you may be without it for a few weeks while waiting for repair. Your machine will come with a standard tube, however, if you live in a colder climate or like to keep your room cool when you sleep, my may notice you are getting condensation building up in your tube or the air in your tube is too cold even though you are using the humidifier. The problem with condensation is that when you move around the moisture in that tube could go into your mask and you don't want to breathe in that water. A heated tube will also keep you more comfortable and your sinuses less irritated from the cold air. The final consideration is your CPAP therapy data. Most machines come with either a SD card or with Bluetooth capabilities which allow you to pair your CPAP machine with your smartphone to keep track of your performance or compliance. Your Dr. may want to see how your therapy is going and this is an easy way to provide that info to them. CPAP data software enables patients and clinicians to analyze the sleep data that is recorded by the CPAP machine to ensure compliance and to provide therapy feedback. This software is stored, recorded and transferred in various formats, such as CD, SD card, USB data card, Bluetooth or Smartlink module. Now that you have your sleep apnea machine, you will need to consider how you will want to keep it clean and maintained properly. You have a couple of options when it comes to cleaning whether you use purchased products or decide to purchase a sanitizing machine like the SO CLEAN or by using a mild detergent. You will want to clean your tube, mask and humidifier each day. You will also want to keep your device in top condition by replacing the filters, tubing and mask regularly. To keep your machine running in top performance, manufacturers recommend replacing your tubing and mask cushion every 3 months and your complete mask every 6-9 months. Once you get organized and have a routine, cleaning your sleep apnea equipment will be a breeze! Once you have decided on a PAP Machine, you will need to decide on which CPAP mask you want. This may seem like a secondary decision; however, it is extremely important to the success of your therapy. You will need to determine if you can sleep with your mouth closed and if so, you have a lot of options available to you. If you sleep with your mouth open, you will need to either purchase a full face mask or possibly a nasal or pillow mask with a chin strap. I would recommend not letting price be the driving factor when purchasing a mask. This is something you wear every night and will determine the success of your therapy. Since you will want to find the most comfortable mask, we recommend calling our experts at Respshop.com to discuss your options. When purchasing a mask on line, make sure the company has a sizing gauge to help you find the best fit. Some masks come with “Fit Packs” meaning they include different sizes taking the guess work out of your selection and getting a good fit which is important in stopping mask leaks. If you can sleep with your mouth closed, you are lucky and have more options! This means you can chose either a nasal mask or a nasal pillow mask. The nasal mask typically fits just over or under your nose and the pillow mask will have nasal prongs that fit just inside the nostrils. I like to look for a mask that is easy to clean and easy to take apart. One last thing to consider when choosing a Durable Medical Device (DME) is if they will support you after the sale. Check to make sure they sell parts to your machine and mask and if they offer perks if you purchase from them regularly. You may want to check to see how long they have been in business so if you do have a problem they will still be there. At Respshop.com we carry over 1400 products from the latest machines to the legacy products as well. Our staff is highly trained and are experts when it comes to new CPAP users. We are available through all social media and have demonstration videos on our website and our YouTube channel as well. We have the best prices and we have been around for a long time! Finally, embracing your therapy means better sleep and better health for you.